Finished Snowball and 9-patch little quilt - For Sale here! I've had a lot of fun making this little quilt. Sometimes, bigger is not always better and these small quilts let me get something done relatively quickly and practice some of the techniques that I'm slowly learning! 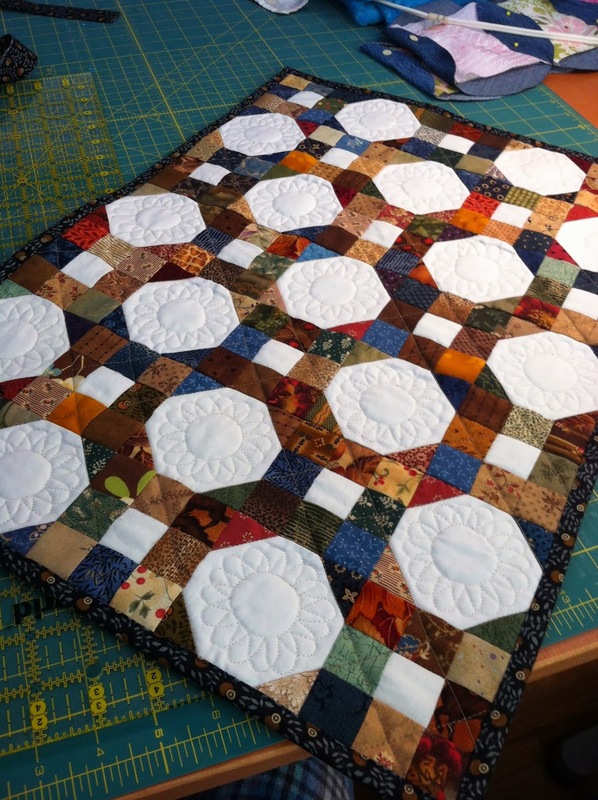 I took a class in machine quilting feathers back in May of 2013 and although the practice piece from that class is still not finished, I did learn how to mark a quilting pattern on a quilt top. The blue marker is from Clover (available here on Amazon) and disappears with water. 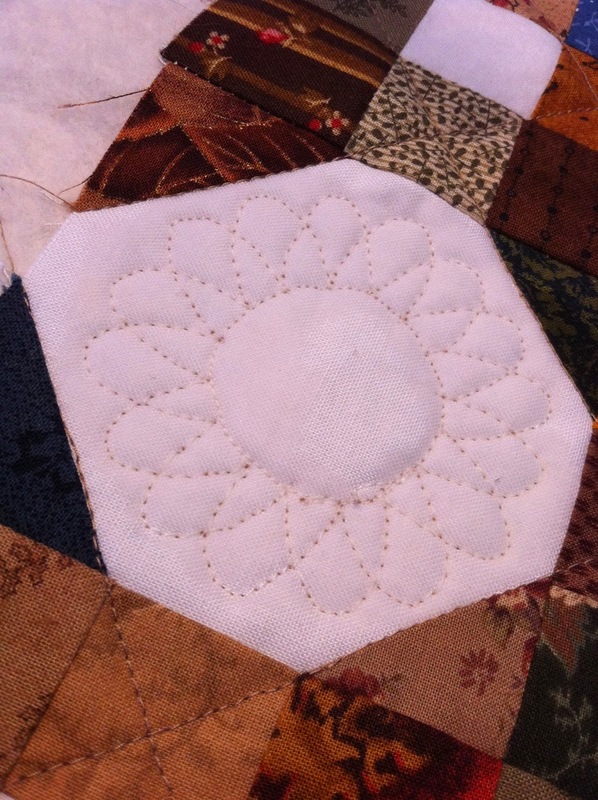 This little quilt had some great open white areas that are great for a medallion motif. This motif was from an old issue of Miniature Quilts magazine and I traced it onto the snowballs and free-motion quilted it. There will be more of these kinds of quilting motifs in my future - the more I do free-motion quilting, the more confidence I get! Sometimes I have ideas in my head and they just scream for me to get out the fabric and create them. 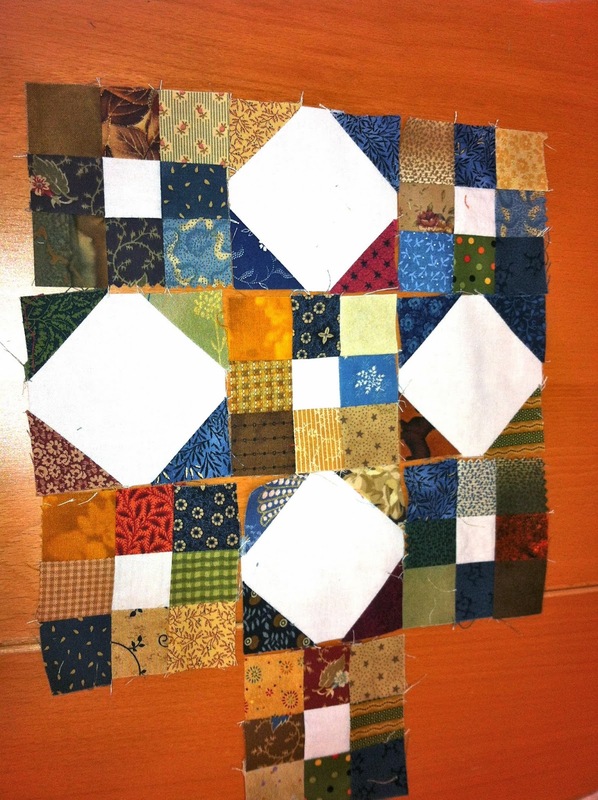 This month has been all about two quilt blocks, the 9-patch and the Snowball block. (There will be a longer post on that later!) And this is the idea that's been percolating in my imagination and the quilt I really wanted to make from those two basic building blocks. This little quilt will finish at about 15" x 21", perfect for a doll quilt, or if you like to collect miniature quilts, this one will look great hanging on your wall or peeking out of a basket. I keep almost all my scraps and occasionally I will cut them up into various sizes, the smallest of which are my 1.5" squares. 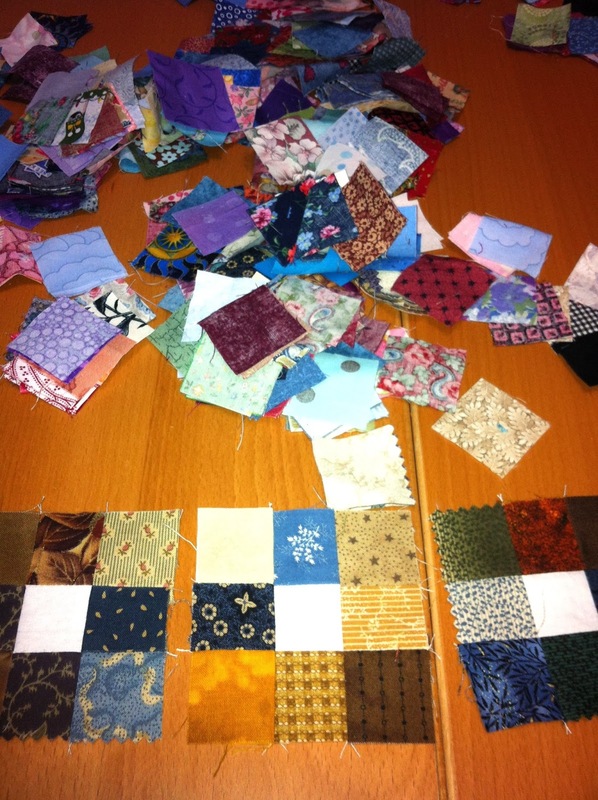 I pulled out an assortment of the duller fabric squares and left the bright colors for another time. The light fabric I used is just a plain white cotton - again, from my scrap bag. Using an assortment of eight (8) dark 1.5" squares and one (1) light 1.5" square, make eighteen (18) nine patch blocks. Press. Use your remaining dark squares and the seventeen (17) light 3.5" squares, make 17 snowball blocks. You'll have four small dark squares and a large light square per block. 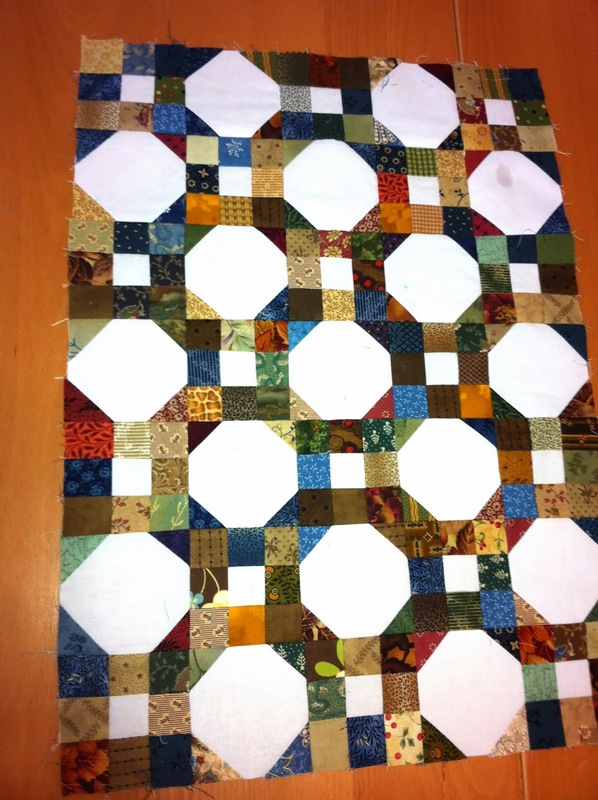 Lay them together as shown and sew across the diagonal as shown by the ruler below. 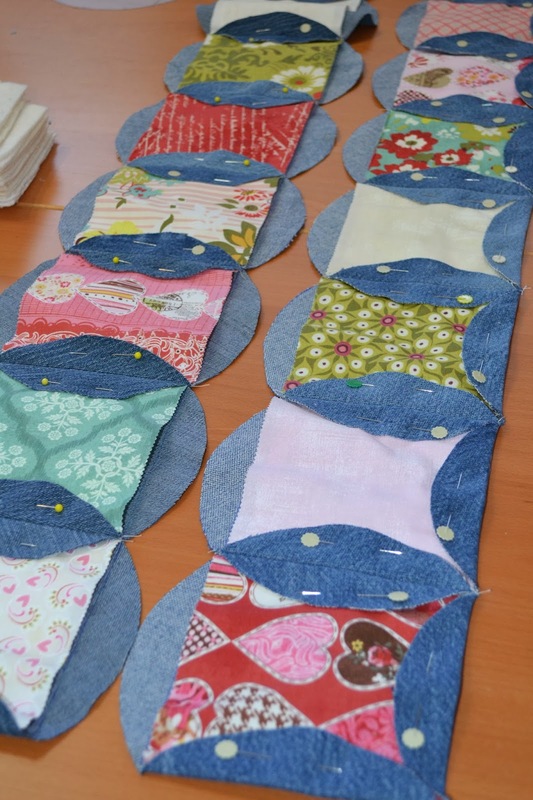 Trim the corners a quarter of an inch past the seam you just sewed and press your small pieces out to the corners. Lay out your blocks, alternating 9-patch and Snowball blocks, five blocks across and seven blocks down. Rearrange until you are happy with where the colors end up. Sew blocks into rows and press towards 9-patch blocks. Sew rows together and voila! You are done! Easy peasy! 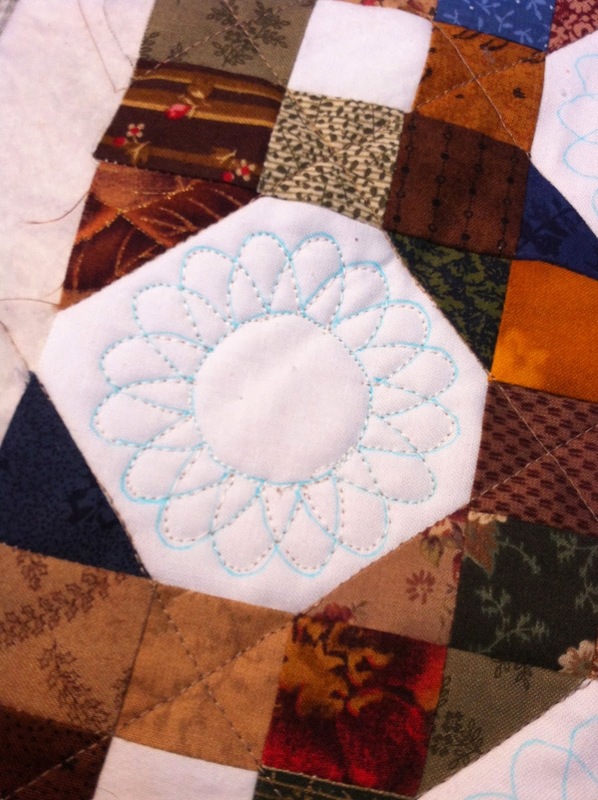 Quilt as desired - little quilts like this are great for learning or practicing hand quilting or free motion machine quilting. 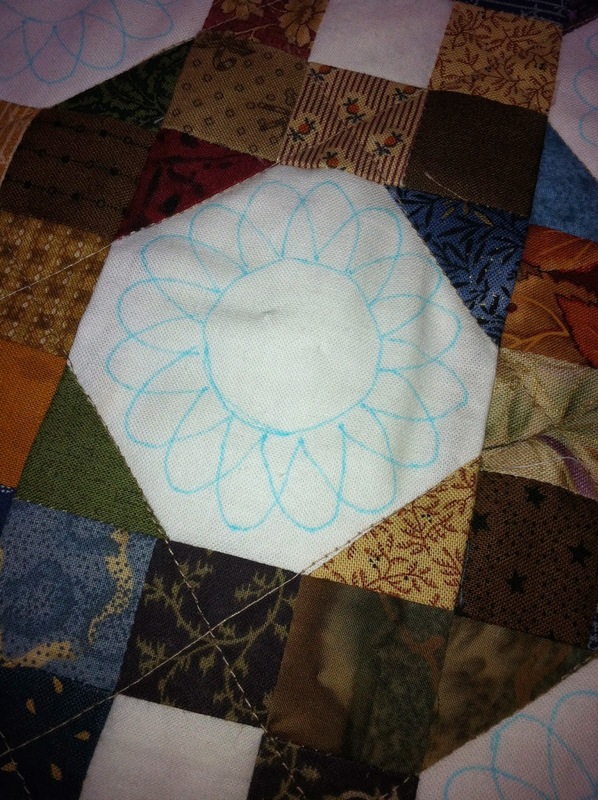 Trim the quilt to prep for binding. The story is that Nana Adams was told to take it easy during her pregnancy with what was to be her youngest child, a full 16 years behind the previous youngest boy child. And to pass the time, she worked on this quilt. I never got to meet Nana, but evidence of her creativity in the form of numerous heirlooms tells me that we would have had a few things in common! 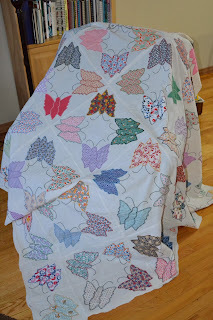 Recently, I purchase another antique butterfly quilt top from Kathy in Kentucky (A String or Two). 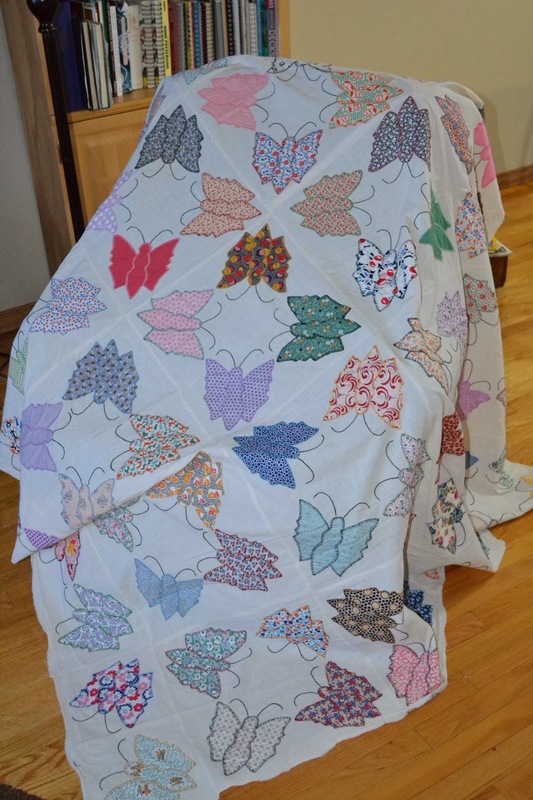 It is very similar to the one I already have, with the butterflies from feed sack fabrics, wonderfully done blanket stitch around the appliques and a warm, unbleached muslin background. 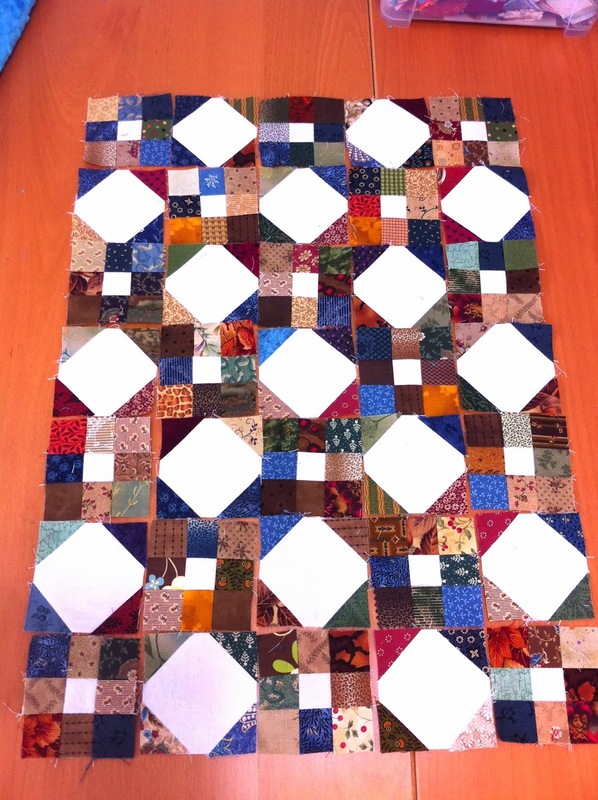 This one I will be sending to be quilted and it will become the quilt for our guest bedroom. Do you have any heirlooms that were passed down to you? Have you shared their story with others in your family? In celebration of the colour purple and especially the Pantone colour of the year, Radiant Orchid, I searched my house high and low for some purple treasures. And found. .
Do you have any colours that are noticeably absent from your home? your quilting supplies? Every year, Pantone picks a color for the year. This year it's a lovely shade of purple. Unlike the past few years, this is a color I have in my fabric stash and there is hope that I can complete a few quilts featuring this beautiful color. Here's my 9-patch baby quilt in shades of purple! From pale lilac to deep plum and bordered with "Radiant Orchid" purple!